Do you need Roman blinds for your windows? 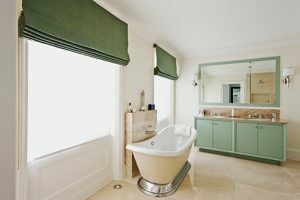 Contact Pippas Blinds Ltd. We stock and supply beautiful blinds for properties throughout Northampton. If you’re looking for customised Roman blinds, contact Pippas Blinds Ltd. Our blinds are fully lined and can be utilised as an alternative to curtains. Our standard linings can be ideal for your lounge or master bedroom. We can also provide made to measure Roman blinds that can fit your window perfectly. We fit blinds for free for homes across Northamptonshire and the surrounding areas. Our products can create a warm and soft look within the rooms in which they’re fitted. To give your room a striking and impressive finish, get Roman blinds installed by Pippas Blinds Ltd. Our blinds are elegant and practical and are made from the highest quality fabrics. We have over 110 fabrics in a range of textures, weaves and fabrics. 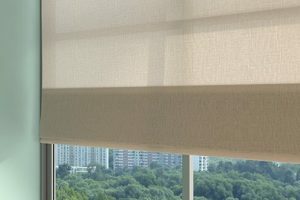 With the help of our advanced production techniques, most of our blinds can be produced as blackouts. Get in touch with us today for more details.